If for any reason you or your real estate are unhappy with the job that was completed, all you need to do is post a message to https://cleaningmate.com.au/carpet-cleaning-contact-address-brisbane.php where you can attach your receipt and photographs of the areas that you are not happy with. Our staff will then respond to you as soon as possible to organize a time to redo your job. Please see conditions below. All complaints and subsequent communication regarding the resolution will be handled solely by email to avoid any mis­communication. 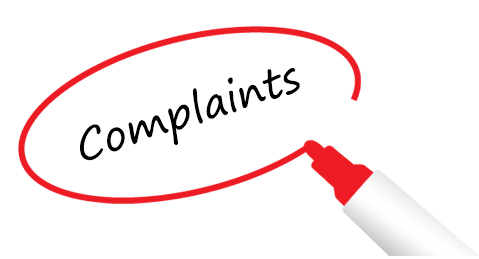 Verbal complaints will not be recorded or addressed; you will be directed to send an email/use complaints portal. All complaints must be submitted by email/portal with photo and receipt strictly within 5 days of the job being done. If we do not receive your complaint before the 5 day warranty period has passed you will not be eligible for a redo. Every redo request must have a photograph attached of the affected carpets regardless of whether you think a photo will prove the issue. We need them for our records and for training purposes. All jobs we complete must be fully paid for in order for the warranty to be valid. We do not offer any guarantees for stain removal. If you have a pre­existing stain that we were unable to remove this does not make you eligible for a re­clean as it is not a matter of workmanship. Not all stains can be removed with a steam clean alone, they may require a specialized treatment from a company that specializes in carpet damage repair. Carpet takes a minimum 3 hours to dry. Do not walk on carpet until it has completely dried. Floors are to be vacuumed prior to the steam clean. If you have had 2 re­dos and are still unhappy with the job we will independently organize for a 3rd party company to clean your carpets at our cost. We will not be held responsible for any financial loss if you choose to pay for someone to redo the carpets without following the correct complaint filing protocol. In case any damage occurs at the property we must be notified within 24 hours. We will require at least 2 - 3 photographs that clearly show what the issue is. In this event Cleaningmate will ask you to collect 3 quotes to fix the problem and we will independently get one of our tradies to match the chosen quote and find a time at our convenience to send someone over to fix the damage.